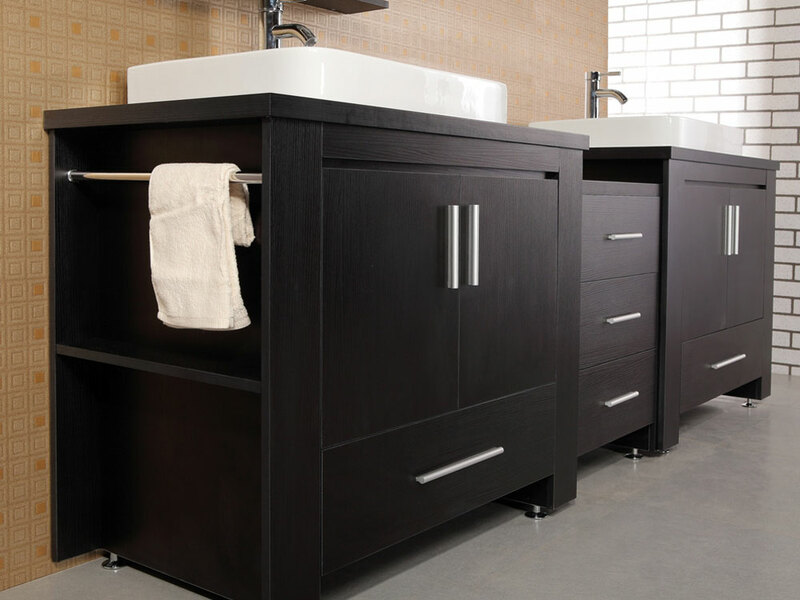 The Washington Double Vanity has the clean lines and an understated style that make it a great vanity for contemporary bathrooms. 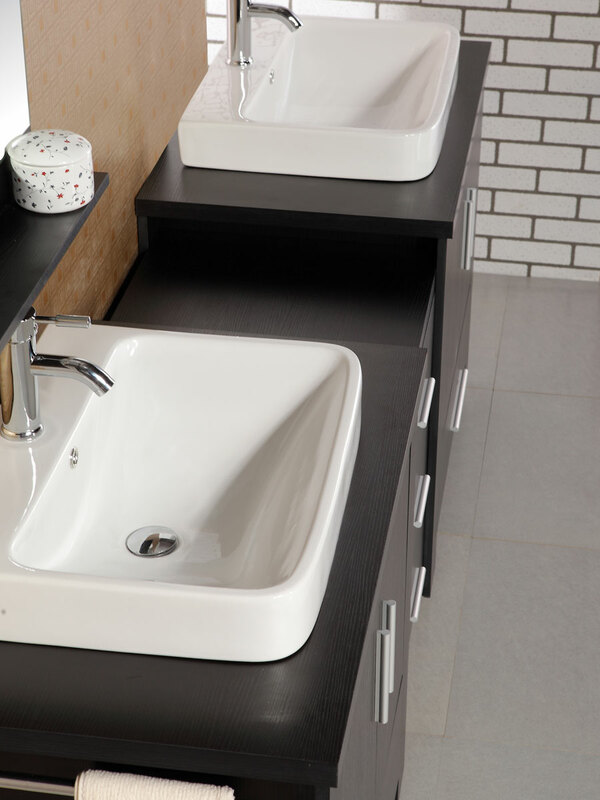 The white porcelain vessel sinks vibrantly stand out from the cabinet's espresso finish for an eye-catching look. 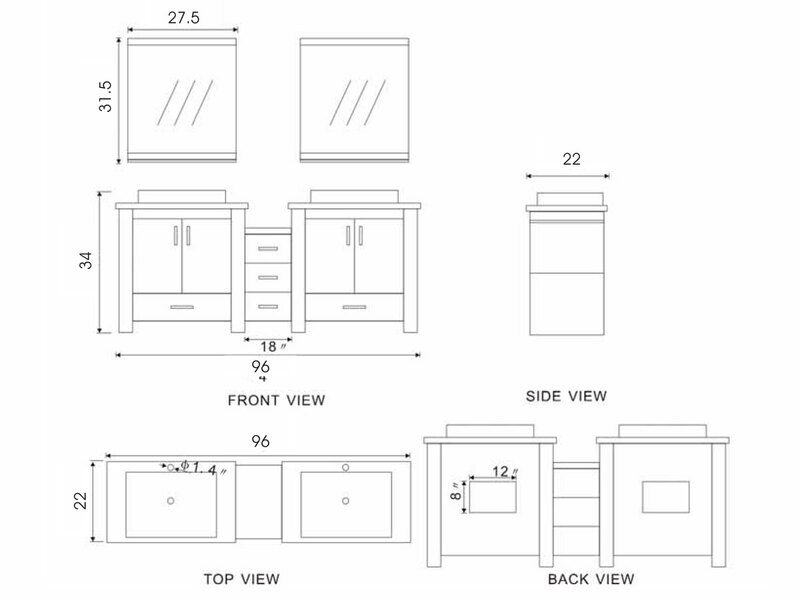 With five drawers, two cabinets, and two mirror shelves, you won't be running out of storage space for all of your bathroom necessities. 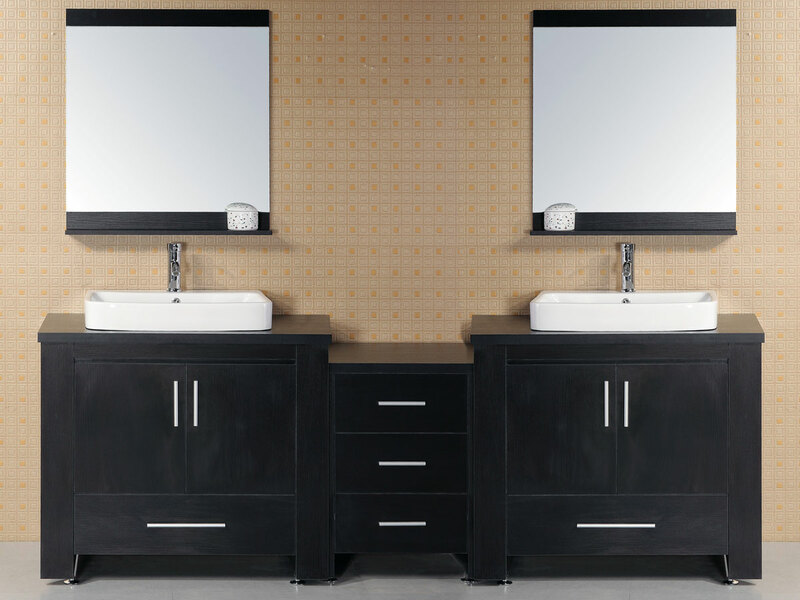 The vanity also includes two matching mirrors to complete this stylish double vanity set.